With their new 12EZ electric powered pallet truck EP have managed to reinvent a product used by millions of people around the world, everyday. 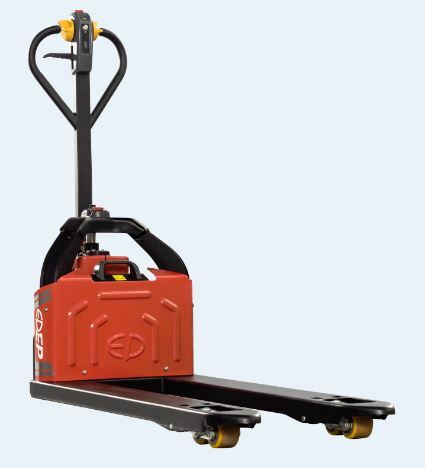 Weighing only 120kg and a with a lifting capacity of 1200kg the 12EZ electric pallet truck is perfectly suited to many working environments. Its small dimensions and modern design make it perfect for use when space is at a premium and aisles are narrow. The powerful Lithium Ion battery also mean that the EPT12-EZ is quick and easy to charge. Because of its low weight of only 120kg and with the power of its 20Ah state of the art, lithium Ion Battery, the 12EZ electric pallet truck can run up to 3 hours on one charge. 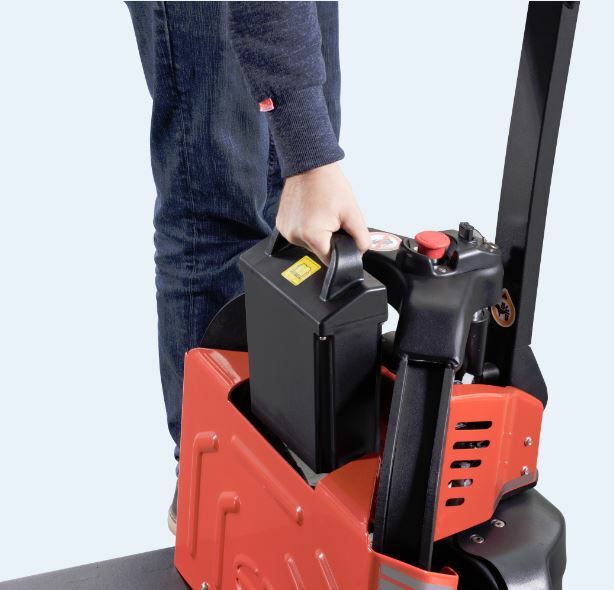 A unique feature of this electric hand pallet truck is the 3.7KG light removable Li-Ion Battery.